The Wheelersburg Pirates (4-2, 3-0 SOC II) got a rebound victory over SOC II rival West (3-1, 2-1 SOC II) Monday night on their home field to improve to 3-0 in conference play. Wheelersburg and West will both take the day off Tuesday before regrouping on Wednesday on the West Side for game two of their regular season series. South Webster (1-6, 1-2 SOC II) picked up their first win in 2019 with a road win against the Northwest Mohawks (1-5, 0-3 SOC II). Brice Robnett led the way for the Jeeps at the play with a double and three RBI, while Caleb Cunningham also got three hits in four plate appearances Monday night. South Webster’s Aidan Andrews and Riley cook also each picked up two hits and each drove in two runs apiece. Getting the win on the mound for the Jeeps is Billy Jones who pitched 5.1 IP while allowing just six hits and two earned runs, striking out nine Mohawks. For Northwest, Ashton Hall led their performance at the plate by going 2/3 in trips to the plate. South Webster will take on Clay Tuesday in non-league play while the Mohawks will have a day off before reconvening with the Jeeps in South Webster Wednesday evening. Portsmouth (0-4, 0-1 OVC) fell to Fairland in their opening game of OVC play Monday night, 12-2. The Trojans host SOC I and county foe Notre Dame Tuesday to try and pickup a non-league win in 2019. The Green Bobcats (5-1, 3-0 SOC II) handled the East Tartans (0-4, 0-3 SOC II) Monday night in Franklin Furnace to pick up their first win in SOC I play in 2019. The bats and pitching were both excellent in the Bobcats conference opener in 2019. At the plate, Eli Webb led the Bobcats by going 4/5 with four RBI, followed closely by Mason Barber who finished 3/4 with four RBI and three runs scored and also Trevor Darnell who finished 3/3 with four RBI. Levi Singleton took the mound for green and pitched a complete five innings while allowing just a single Tartan to reach base due to a hit, while also striking out ten East batters. 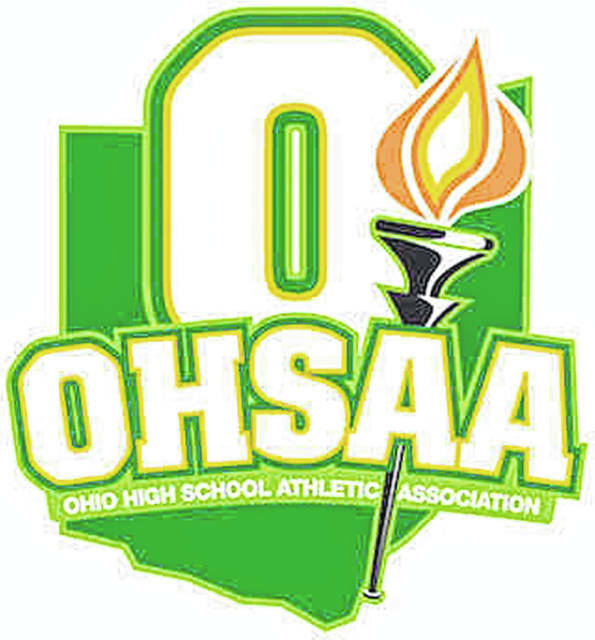 Green and East both have a day off Tuesday before reconvening in Sciotoville for game two of their season series. The Wheelersburg Pirates (7-1, 3-0 SOC II) had an excellent outing against the Portsmouth West Senators (2-3, 1-2 SOC II) Monday, defeating their SOC II rival 18-0. Shortstop Boo Sturgill drove in a game high six RBI while going 3/3 at the plate including a home run. Bella Williams also knocked out a home run in the win while going 2/3 at the plate with five RBI. Laney Eller also drove in four RBI by going 2/3 at the plate with a walk. Sarah Claxon had another excellent pitching performance in the Pirates win by pitching all five innings, allowing just one hit and striking out seven Senators. Wheelersburg and West will have a day off Tuesday before finishing game two of their season series on Wednesday. Minford (4-2, 2-1 SOC II) defeated Valley (0-4, 0-3 SOC II) 11-1 Monday night to improve to 2-1 in SOC II play while Valley falls to 0-3. Minford will do battle with Miami Trace on Tuesday while Valley will take an off day before getting a rematch at the Falcons in Lucasville on Wednesday. South Webster (5-3, 2-1 SOC II) picked up their second conference win of the season on Monday night in a nine inning affair against the Northwest Mohawks (0-3, 0-3 SOC II). Starting ace Gwen Messer went the distance in the win by going 9.0 IP, allowing just six hits and four earned runs while striking out sixteen Mohawks batters. At the plate, Emma Bailey and Taylor Rawlins each drove in two runs apiece in their combined three hits to help give the Jeeps the win on the day. Mack Keller, Riley McGraw, and Kaylea McCleese all finished one RBI apiece in the win for South Webster. Sara Smith led the Mohawks at the plate by going 2/4 with a team high two RBI. South Webster takes a day off Tuesday before visiting McDermott Wednesday for game two against Northwest while the Mohawks take on Eastern Pike Tuesday for a chance at their first win in 2019. Portsmouth (2-5, 1-0 OVC) picked up a narrow victory against the Fairland Dragons in their OVC opener Monday night, 8-7. The Trojans will travel to Lewis County (Ky.) Tuesday night for a non-league game to try and pick up their third win in 2019. The Clay Panthers (6-0, 3-0 SOC I) improved their perfect start to the 2019 season against SOC I foe New Boston (1-4, 0-3 SOC I) in five innings. Shaelyn Vassar led the Panthers at the plate by going 2/2 in her two plate appearances and driving in a game high three runs. C. Wells also stepped up at the plate by going 1/3 at the plate while driving in two RBI. Hannah Oliver improved her record to 3-0 in starts this season by pitching all five innings while allowing just two hits and striking out nine Tigers. Lexus Oiler and Taylan Hickman picked up the lone two singles for New Boston in Monday’s game. Clay will take a day off Tuesday while New Boston will go up against the South Webster Jeeps. The bats came alive for the Green Bobcats (3-3, 3-0 SOC I) in their quest to become 3-0 in SOC I play with their win over the East Tartans (2-4, 0-4 SOC I) Monday night. Cass Kellogg had a monster game at the plate for Green by going 2/5 while driving in a game high five RBI. Kasey Kimbler also had a big day at the plate by going 4/5 in her five plate appearances and driving in a lone run. Haley Bradley picked up the win for Green by pitching 2.1 IP while giving up ten hits and seven earned runs. Ava Jenkins came to the mound in relief for 3.2 IP while giving up just two hits and zero earned runs. Green will travel to South Point Tuesday to face the Pointers while the Tartans will regroup to face Green again on Wednesday. Notre Dame (6-0, 3-0 SOC I) squeeked by Symmes Valley Monday night to improve to 3-0 in SOC I play in 2019. Cassie Schaefer went the distance from the mound Monday night while allowing just four hits and one earned run while striking out eleven Vikings batters. Schaefer also proved to be huge on the offensive side. She finished 2/3 at the plate, one double and one single, with a game high two RBI. Sophomore Claire Dettwiller also drove in a run in the Titans narrow victory on Monday. Notre Dame will face Ironton St. Joe on Tuesday to try and improve to 7-0 in the 2019 season. Portsmouth West picked up a non-league win over the OVC’s Chesapeake last Thursday, 16-6. Abbi Boland, Jordan Hammond, and Morgan Rigsby all had big offensive days from the plate. Boland finished 3/4 with three RBI in the win, Hammond finished 1/3 with three RBI as well, and Rigsby knocked out her first home run of the season, a solo shot over the right field fence in the bottom of the fourth. Abbie Pack and Kaleigh Parr each took the mound in the win for West. Parr started the game by going 3.0 IP while allowing just five hits and three earned runs. When Pack took over for the fourth and fifth innings, the Senators didn’t miss a beat. Pack finished with 2.0 IP, giving up just three hits and two earned runs.